It is a blessing to be able to return to The Center for Theological Studies (CTS) to make yet another announcement. Remember, as I said above, only Kindle Books on the above three titles are free. As for paperback versions of these books, I have discounted the books to "at cost" -- meaning I'll make next to nothing on the sales. Amazon will get the profit. I get the satisfaction of seeing folks pick up copies of books to aid them on their Christian journey. 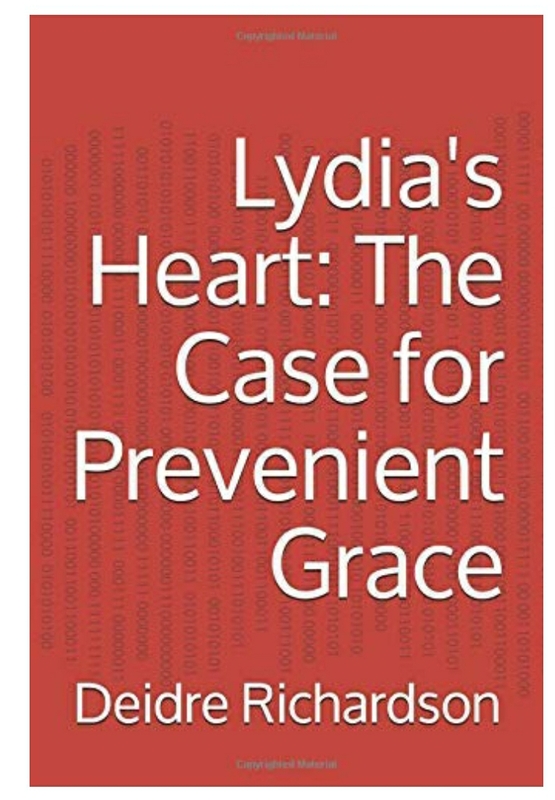 Lydia's Heart: The Case for Prevenient Grace, a book I published on December 15, 2018, has been discounted from $22.50 to $14.50. Of the new discounted cost on the book, I'll only see a profit of 50 cents. Literally. I'm THAT determined to get books into the hands of those who've been wanting the titles but are paralyzed financially right now and have bigger financial problems to worry about. The Amazon free book giveaway starts today, April 18th, and goes through SonRise Sunday (April 21st, known to many as Easter) to Monday, April 22nd. The giveaway lasts only 5 days, so don't put off tomorrow what you can pick up today. Write back and let me know if you've picked up any of these three books, and the titles you downloaded on Kindle. If you decide to purchase the paperbacks, let me know which titles. I look forward to hearing about your purchased titles. If I can be of service, please feel free to let me know. Prevenient grace is a topic that seems to be relegated to the field of scholastics with regard to theology. It isn’t taught, preached, or pondered much these days in typical bible studies and church discussions, but that could soon change. Pastor D.M. Richardson, the shepherd of internet-connected The Essential Church and author of books Short-Sighted Faith: Once Saved, Always Saved (OSAS) and the Doctrine of Perseverance, Doctrinal Deception: Responding to Carlton Pearson’s The Gospel of Inclusion, and More Doctrinal Deception: Bishop Carlton Pearson’s Inclusion, Further Examined, is back with a book regarding prevenient grace. Titled Lydia’s Heart: The Case for Prevenient Grace, the book uses well-known biblical doctrines to assert that the grace of God that goes before faith (as taught in Ephesians 2:8-9) is resistible in nature, not irresistible. While prevenient grace isn’t a term one finds in the Scriptures, it can be inferred. For example, the word Trinity isn’t found in Scripture either, but it is inferred based upon Scripture’s mention of “Father,” “Son,” and “Holy Spirit.” Grace is mentioned, but “prevenient” is an inference (“prevenient” means that it goes before something; grace goes before faith). 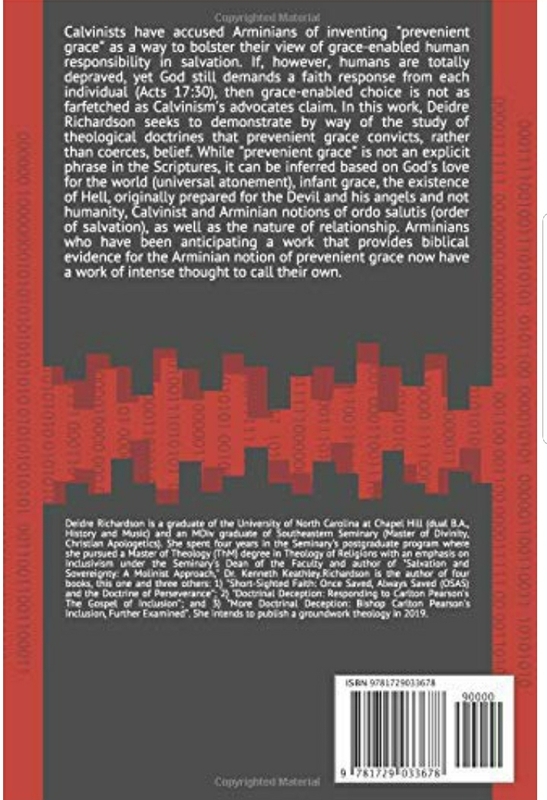 Richardson draws from a number of well-known biblical doctrines that Baptists, in particular, would find encouraging, such as the idea of infant grace (that is, every infant is born in a state of grace). Infants have “angels in Heaven,” Jesus says in the Gospels, a statement that doesn’t set aside some infants for salvation and others for damnation (a statement John Calvin held in high regard). A chapter titled “The Good News About Hell” shows that Hell is a choice for humans, who were not created for Hell. Hell exists only for the Devil and his angels, though humans can choose to enter this dreadful place through rebellion against God and sheer unbelief. Hell wasn’t created for a single human person, meaning that Calvin’s Doctrine of Reprobation is not only distasteful but also highly unbiblical. Richardson also tackles the Doctrine of Atonement regarding God’s universal love for the world as a whole, not just some in it. The main heroine of the book happens to be Lydia, the God-fearer and worshipper whose heart and mind was opened to the revelation of Jesus Christ in the gospel message, preached by the apostle Paul. This is the center of the book, and Richardson saves the best for last — with the title chapter as the last chapter (chapter 7). Pastor D.M. 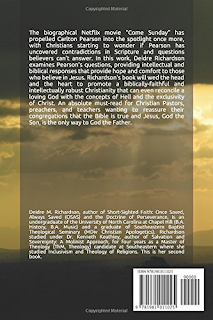 Richardson, apart from being Founder and Pastor of The Essential Church, is also an undergraduate of The University of North Carolina at Chapel Hill, having received baccalaureate degrees in History (Modern Europe) and Music (Performance) in 2006. Since then, Richardson has gone on to graduate with a Master of Divinity degree in Christian Apologetics from Southeastern Seminary in 2011. She entered the seminary’s postgraduate, Master of Theology (ThM) program for four years after receiving her MDiv, studying under the Seminary’s Dean of the Faculty and Salvation and Sovereignty: A Molinist Approach author, Dr. Kenneth Keathley. You can pick up your copy of Lydia’s Heart over at Amazon.com. Both Kindle (digital) and Paperback versions are currently selling at the low price of $15 through January 15, 2018. You can preview the book at the link below. 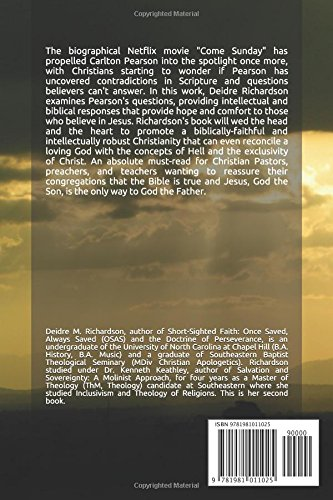 Richardson has more work in store for 2019: among it, a groundwork theology and an introduction to theological systems in salvation (soteriology). Let me say first, how grateful to the Lord I am to be able to share this news with you all. I'm thankful to return to the blog and see some small growth (some growth is often better than none at all), so thank you for your love, support, and prayers. There are so many blogs in the blogosphere today with so much to say that I often think my labor of love here leaves much to be desired. But the Lord has a unique way of taking what we think is nothing and transforming it for His glory. And that's what the Lord has done here at The Center for Theological Studies. And I'm blessed to share this blog with each of you, that you have joined me for the biblical ride of a lifetime. Today, I'm back to share some news that has me beaming inside and out: by the Lord's grace, I have published a book. 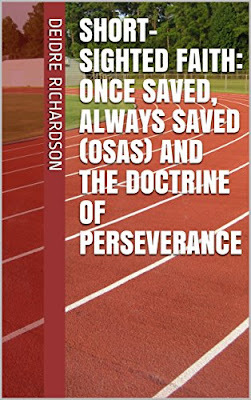 Titled Short-Sighted Faith: Once Saved, Always Saved (OSAS) and the Doctrine of Perseverance, the book is devoted to examining OSAS as a doctrine and showing why it is unbiblical. 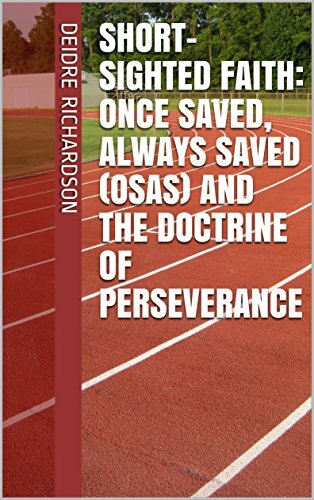 Yes, (gasp), I disagree with the notion of Once Saved, Always Saved. If you've been keeping afloat of the blog, I often critique Calvinist theologians and their claims because of my view that Scripture is against them. They can't explain multiple passages in Scripture, which makes me distrust their conclusions. So, prepare to see in this book the results of my 9 years of leisure pursuit of Calvinism, Arminianism, and a few years of Molinism. Just to give some details about the work, the price of the book is $9.99 for the Kindle Edition. For those wondering about a paperback version, that too, is available. Since August is my birthday month (I turn 33, Lord willing, on August 21st), I am running a special sale on the paperback version of my new book. Between today, August 1st, and the end of the month, August 31st, those who purchase the book can expect a price tag of $10.00 for the paperback copy. Now, the change to the paperback price have yet to take effect, so don't be surprised if you can't purchase it at that price today. Give the changes 3 days or so to take effect, and feel free to check in at Amazon sooner (you might see it appear within 12 hours or so). As always, I'd like to give honor to the Lord and His Son, Jesus Christ, who have made this all possible. I consider myself to be a servant of the Lord, doing what I believe to be the work of God in going and making disciples. Some of us evangelize the world by preaching on foreign soil; others do it by writing books that travel worldwide. I have been blessed to do the latter, and I pray that Christ is exalted and that you, my readership, will be edified and inspired to continue running the race that is set before us, looking unto Jesus, the author and finisher of our faith, as Hebrews 12:1-2 says. This book is the first of, Lord willing, many to come. It has been my dream to write and publish since I could remember, and I pray that my love for the work of God shines through. And, as for the question pressing on everyone's minds, "Did I enjoy the process?," well, let's just say that when I finished editing the manuscript, my spirit said, "I want to do it all over again." To my readers, let me first say that I'm thankful the Lord has let our paths cross once more. I've been busy in the work of the Lord, as I'm sure you have, and am back to indulge the Word of the Lord with you. I noticed this morning that I had a copy of R.C. Sproul's booklet titled "Can I Lose My Salvation?," a booklet that tackles some interesting passages that I've studied at length regarding the doctrines of salvation and apostasy (yes, if you read 1 Timothy 4, the Doctrine of Apostasy, Falling Away, or The Great Divorce (to use a familiar title from C.S. Lewis's book that bears the same name). I've only been able to read the beginning so far, but what I've read already troubles me because it proceeds down a path that so many believers tread down. And I think the interpretation made is short-sighted and does not do justice to the whole counsel of God. "While some will return after a serious fall, some will not, because they never actually had faith. They made a false profession of faith; they did not possess what they professed" (R.C. Sproul, Can I Lose My Salvation? (Crucial Questions) Book No. 22. Reformation Trust Publishing, August 2015, page 15). 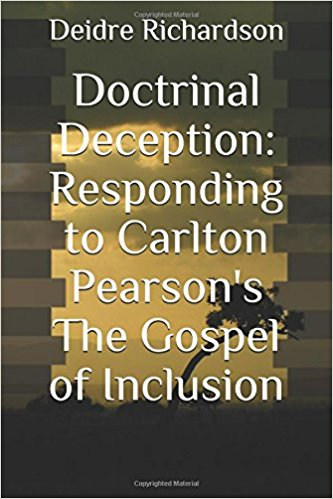 In the end, though, Sproul appeals to 1 John 2:19 and Matthew 7:21-23 to state his belief that the issue is false professions of faith and not genuine ones that go awry due to what Hebrews says is an issue of hardening one's heart against the deceitfulness of sin (see Hebrews 3:13). Let's examine Matthew 7. Jesus has just taught about false prophets and that their fruit, whether or not their sayings come true, will tell you the true nature of the prophet (whether he or she is genuine and has the Spirit of God or is a devil and lacks the Spirit of God). "So then, you will know them by their fruits," Jesus says in Matthew 7:20, NASB). In verse 21, Jesus begins with the statement that "Not everyone who says to Me, 'Lord, Lord,' will enter the kingdom of heaven, but he who does the will of My Father who is in heaven will enter" (v. 21). In verse 22, those who are rejected come and tell the Lord of the things they've done: prophesied, cast out demons, and performed miracles, all actions that appear to make these persons saved. And yet, Jesus tells them "I never knew you" in verse 23, which says that they were never saved to begin with. Yes, Sproul and I agree here: these individuals, though doing some amazing miracles in the name of Jesus, were never saved. Try to wrap your head around the fact that these persons performed miracles by the Spirit of God but were never saved. Some things in Scripture are mysteries, but I fear that a system called Calvinism and its adherents claim the word "mystery" for many teachings that are biblically faithful but challenge their own interpretations of Scripture. But Sproul claims that genuine believers cannot fall away from Christ because of Matthew 7. The only problem with this is that one must consult the words of Jesus as a whole, in every place possible, to arrive at a conclusion either way. 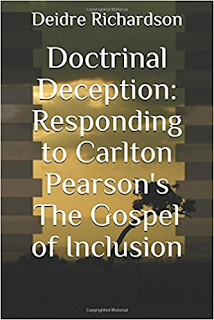 True, he can't tackle every verse in his book, but he's too quick to dismiss truths in passages like Hebrews 6 by saying, in essence, that Matthew 7:21-23 cancels out the concept of genuine believers falling away and apostatizing from the faith. In actuality, though, Sproul would be wrong, terribly, terribly wrong. Matthew 7:21-23 does exist, and its truth is genuine: there are some who will "fake salvation" and are never of the Lord's people though they may assemble in church and go through the rituals of saved persons (they may even deceive genuine believers). However, where I disagree with Sproul is that Matthew 7 cannot be used to refer to all believers who fall away because, if it does, then it contradicts other passages of Scripture such as the Parable of the Ten Virgins in Matthew 25:1-13. In Matthew 25, there are five wise and five foolish virgins. Five virgins have oil in flasks to accompany their lamps but five are foolish and bring their lamps (with oil in them) but do not bring along an additional flask to refill their lamps. Both the wise and foolish virgins sleep, waiting for the Bridegroom. At midnight, the cry goes out to go meet the bridegroom for the marriage feast, but only five are ready. The five foolish virgins, those whose oil has depleted from their lamps, ask the wise virgins for some of their oil. This is where we see the wisdom of the Wise Virgins: they tell the Foolish to "go instead to the dealers and buy some for yourselves" (Matt. 25:9). While the Foolish are buying oil, the Wise have gone to the chamber to meet the bridegroom and the door is shut. The Foolish come in late, but the Bridegroom refuses to open up to them. Yes, this shorthanded version of the parable is not meant to dishonor it but to conserve space and time for the point of emphasis. What is the emphasis? That this Parable tells us, to first be brief and then descriptive, that there are those who have the expectation of heaven but will not reach final salvation because they live their lives in Christ unprepared. Simply put, one can be a believer and end up on the outside of glory looking in. Let's examine what I mean. First, let's remember that these are virgins and that the parable pertains to "the kingdom of heaven" (25:1). Virgins are pure, spotless, and undefiled, so it can't be said that these persons are unbelievers. They are wearing white, a symbol of purity, that they've been "washed" and cleansed from their former sins, and are part of the Lord's people (John 13:8; 1 Corinthians 6:11; Revelation 7:14). Next, the five foolish virgins, who were cleansed, saved, and had an expectation of heaven (that comes to all who confess and believe) missed the marriage feast because they were unprepared. The oil was running out of their lamps and they did not have additional oil with which to refill their lamps (v.8). When these five foolish virgins, who had their lamps and had expected to meet Christ, came to the door after it had been shut, they cried for the Lord to open to them but He did not. He says "I do not know you" (Matt. 25:12), not "I never knew you," as the Lord had said to some in Matthew 7:23. The Lord's words that "I do not know you" is present tense; unlike the word "never," it does not assume that the Lord never knew the foolish virgins. I hope you're starting to see the problem with Sproul's interpretation: it overlooks the fact that some individuals were never saved and are never joined to Christ, but others can be joined to Christ and fall away from faith because of sin. Sproul can explain Jesus' words in Matthew 7, but how can one explain away the virgins, the spotless bride of Christ, that miss heaven in Matthew 25? John 15: Are there branches that were never joined to the Vine? Perhaps Sproul would say that these individuals were never joined to Christ in the first place because, if they were, they would have been prepared. Well, this is problematic because, if we take Sproul at his word, Jesus made claims that were merely hypothetical and not true. First, Matthew 25 is problematic for Matthew 7's "I never knew you" being applied to all who Jesus will turn away in the end. Sure, it applies to some, but R.C. Sproul's desire to use Matthew 7's response as a blanket claim for all unbelievers in the end is a hermeneutical stretch. Let's examine John 15. 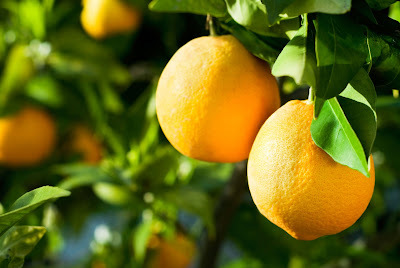 We can understand that Jesus stresses the importance of bearing fruit in the Christian life: "I am the vine, you are the branches; he who abides in Me and I in him, he bears much fruit, for apart from Me you can do nothing" (v.5); "My Father is glorified by this, that you bear much fruit, and so prove to be My disciples" (v.8). These two verses tell us that the Christian life is about bearing fruit, that we glorify the Father when we bear fruit. "Every branch in Me that does not bear fruit, He takes away" (John 15:2a). "If anyone does not abide in Me, he is thrown away as a branch and dries up; and they gather them, and cast them into the fire and they are burned" (John 15:6). These verses are problematic for Sproul's claim that there are only true believers and fake believers; rather, there are not two but three types of individuals: 1) those who believe and bear fruit, 2) those who believe but do not bear fruit, and 3) those who never believed and thus, never bore any fruit. Remember, those who are in Jesus but do not bear fruit are branches severed from the vine that dry up and are tossed in the fire. What the Lord is saying here is that these temporary believers will experience eternal punishment and torment in Hell. However, their end does not negate their faith at the first or prove that their confession was inauthentic. The question before us is as follows: did Jesus state a mere hypothetical when He spoke of "every branch in Me that does not bear fruit"? If Sproul is right, then no such branches exist in Christ that don't bear fruit. And yet, Scripture says that these branches "He takes away" (John 15:2), meaning that Christ severs them from the Vine (Himself, as He states in verse 1). These branches, the ones that don't bear fruit, are "thrown away...and dry up" (v.6). But, Sproul has said that there are no such branches in Christ. It appears as though, to protect his belief in the Doctrine of Eternal Security, he has had to part ways with alternative verses in the New Testament and only "prooftext" with two passages that lean heavily in his favor. Proper hermeneutics, however, requires us to make the most of not only the passages that agree with us, but those that don't - and Sproul's approach of the subject in these few pages I've read doesn't make much of anything out of the severe verses. Sproul simply says that "these verses pertain to those who were never saved." If Jesus's words are to be believed, then there are those "in Me," in Jesus, that will not bear fruit. There are branches in Jesus that are connected to Him by faith that will bear fruit, but there are branches that will not bear fruit. Those who do not bear fruit in the Christian life are severed from the Vine (which seems to imply that these branches are disowned by the Vine, Jesus, and the farmer, the Father) and no longer can bear fruit. If the branch, the believer, were never saved to begin with, there would be no expectation of the branch bearing fruit. To believe the position we've discussed here, that all who fall away from the faith have false professions, means that we must believe the exact opposite of Jesus' teaching. As I've iterated before, sure, there are those who are never saved, who masquerade as genuine Christians. But not everyone is masquerading as nothing more than a fake believer in disguise. Why would Jesus mandate branches to bear fruit if they're not in Him and lack the Holy Spirit, who sanctifies believers so that they produce the fruit of the Spirit? Take care, and be blessed, until next time. I am honored once more to return to The Center for Theological Studies (CTS), a blog that I cherish, a blog that I love and always desire to spend more time writing for than the demands of work life and family life will allow. At any rate, praise the Lord for His goodness, and thank God I have this small time tonight to return to CTS to update my readership. I have been away from my blog for some time, but I've had a lot to keep me occupied (both good and bad, unfortunately). My mother died in 2009 from a three-year battle with breast cancer, lung cancer, and brain cancer (the brain cancer took her), and I have been heartbroken in a sense ever since. Despite such a mammoth loss in my life, I've had to soldier on and look to the Lord for comfort, for peace of mind, for my hope. Believers should always look to the Lord for these things, but it's amazing just how much greater the effort you must make to do this when you feel such immense grief that you'd rather walk the floor than sleep at night. Atop of this, I have had to leave seminary for reasons due to my grandmother's declining health. She has a muscular disease called polymyelitis that progresses and diminishes capacity. The doctors are doing all they can for her (she's having to take chemotherapy medication to slow down the progression of the disease), but she cannot be home alone. At the same time the Lord was calling me to return home to my family, I had suffered a tough year of unemployment due to one lost job after another. That had an impact on my financial abilities, that and the fact that my mother's home just would not sell. It still hasn't sold, though there is a renter and hope that I will eventually be able to move forward from it. Well, it's been a rough 8 years (mom died 8 years ago on February 3rd), but the Lord has truly been faithful. But I have been away for a long while and realize that, as my journey has taken me to different places, the same can be said of you, my readership. I want you to know that in my absence, the Lord has continued to draw me closer to Him, that I've never stopped loving Him, that I've not abandoned Him, neglected my salvation, or given up on my faith, and that I love His Word as much as I ever did (if not more). I've been in the blogosphere covering mobile technology, but I have also been working as a theological commentary writer. Yep, I've been writing commentary to build a site that I've been hired for. The Christian Bible site is where I put down my commentary on Scripture often. I wanted to write this to provide some links to recent content that I've published on the Web so that you would know that I'm still writing (vigorously, even). The links below will take you to two lengthy articles that I've written that are published in my name that will provide as much commentary as I could've provided here in my long absence. Take a look and feel free to write back if you have any comments or questions or just want to say "hello." Yes, I realize the Sabbath rule post is bound to be controversial in some respects, but I think it was fitting to make the statements that are made there. I look forward to hearing from you. If you haven't visited the site in a while and have a journey with the Lord of your own that has provided some unique experiences, feel free to let me know in the comments below. You can find me writing over at Bible Knowledge on a regular basis, and I'd love to read a response or two from those of you who keep me in your prayers and think of me often. The Center for Theological Studies is always in my heart and mind, even when I'm away. I love you all. May the Lord bless you and keep you, make His face to shine upon, be gracious to you, and give you peace. We’ve spent the last few posts covering divine sovereignty and human responsibility, and how these two elements are essential building blocks for a sound theodicy. In other words, you can’t defend the righteousness of God in a theodicy if you don’t take into account divine sovereignty and human responsibility. In this post, I’m back to put Genesis chapters 1-3 into perspective for us, as we proceed with our discussion. What can Genesis chapters 1-3 teach us about the concepts of divine sovereignty and human responsibility? How can we appropriate these chapters into a sound theodicy – which then makes its way into a sound theology? · God’s sovereignty remains intact – the Lord, as sovereign, comes to the scene of the sin and punishes all parties involved (Adam, Eve, and the serpent). At the same time, however, He proclaims hope in that, despite the sin and stain upon humanity and creation, the seed of the woman (Jesus) would crush the head of the serpent (Satan), Gen. 3:15. Notice that the Lord refers to “He” when discussing the seed of the woman and the “you” and “your” when referring to the serpent. Scripture tells us that Satan is “that serpent of old” (Rev. 12:9). 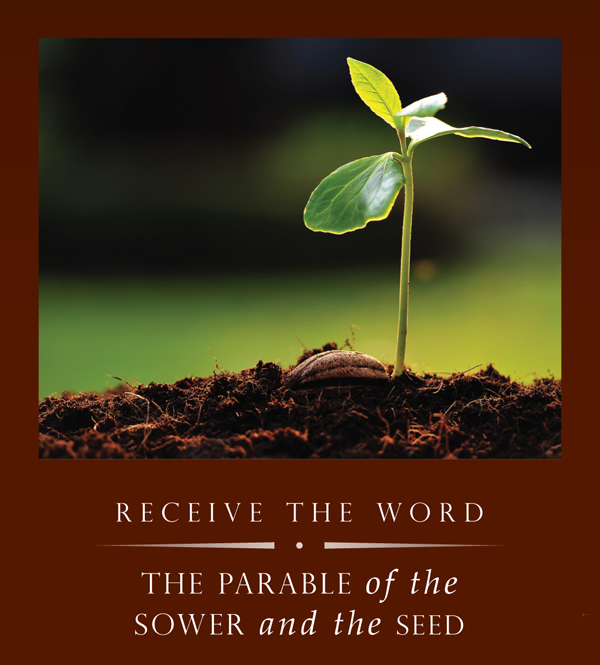 The seed of the woman refers to Christ, “The God of peace” who will “crush Satan under your feet” (Romans 16:20). God’s sovereignty can also be seen through the fact that He expels man and woman from the Garden and places a cherubim angel with a flaming sword to guard the Garden. · Man’s responsibility remains intact – despite man’s sin, he must still cultivate the ground, even after he is expelled from the Garden (Gen. 3:17-19, 23). Man does gain the knowledge of good and evil in the encounter, but he must now encounter evil – something that hadn’t happened prior to Genesis 3. All the consequences that occurred in the Fall were bad, and man must now live with these consequences while still having to work the ground, produce childbirth, and live in marriage. · Man is the author of Sin – Sin enters the world and stains creation because of man. Although Satan was in the Garden that day, it is not Satan (the serpent) who is blamed for the Fall; rather, the ground is cursed “because of you,” which was God’s response in making Adam responsible for it (Gen. 3:17). In addition, the Lord tells Adam that he disobeyed the divine command: “because you have listened to the voice of your wife, and have eaten from the tree about which I commanded you, saying, ‘You shall not eat from it’” (Genesis 3:17) God’s statement to Adam shows that the Lord is absolved of guilt because He forewarned Adam about disobeying Him, and Adam listened to the voice of his wife against the word of God (which makes Adam guilty all on his own). 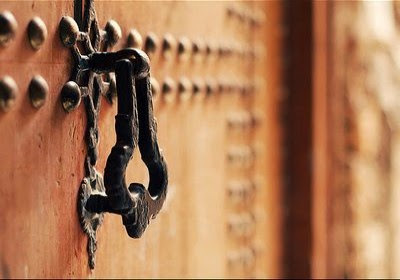 · Divine sovereignty comes back in full force, even after human responsibility fails – If Open Theists were right, God would have claimed ignorance after Adam and Eve sin in the Garden. Instead, the Lord tells the serpent that, not only will he crawl on his belly for the rest of his life, but that his head will be crushed by the seed of the woman. We know from progressive revelation that this refers to the cosmic battle of the Lord over Satan and his demons (cf. Luke 10:18; Romans 16:20). In the end, the Lord will rule over all, and He would claim the victory over Satan through His death and resurrection on the cross (Colossians 2:13-15). · Death enters the human family – It’s a sad thought indeed, but Adam and Eve’s sin brings death into the human family. The Lord had forewarned Adam of death (“the wages of sin is death,” Paul said in Romans 6:23), but Adam decided to disobey God in the face of the divine warning. The sentence for not just Adam, but all of mankind, is death (Romans 5). I mentioned in the last post that the Lord forewarns of death despite the fact that death didn’t exist with mankind prior to the Fall, but it reminds us that the Lord, while being the Giver of Life in Genesis, always had the power to take life, too. · The environment is cursed because of the fall of man – “Cursed is the ground because of you,” the Lord says to Adam in Genesis 3. Adam’s decision to sin affected not only Adam and Eve, but also their descendants (Romans 5:12) as well as creation, including the ground (Romans 8:19-22). In other words, we see the implications of the Lord making Adam and Eve to “rule over the earth”: their sin would result in the curse of all creation, not just themselves and humanity. Adam and Eve could not have foreseen that their sin would impact their children (Cain and Abel), as well as the remainder of humanity. By the time of the Flood, sin had so pervaded humanity that the writer could say “the wickedness of man was great on the earth, and that every intent of the thoughts of his heart was only evil continually” (Gen. 6:5). In response to the evil, the Lord could say, “The end of all flesh has come before Me; for the earth is filled with violence because of them; and behold, I am about to destroy them with the earth” (Genesis 6:13). Even Noah’s name was linked to the curse of the ground: “Now he [Lamech] called his name Noah, saying, ‘This one will give us rest from our work and from the toil of our hands arising from the ground which the Lord has cursed’” (Gen. 5:29). When Jesus dies on the cross, Matthew notes that creation responds to the Lord who made it: first, darkness falls upon the land (Matthew 27:45); then, the earth shakes and the rocks split (Matt. 27:51). This was to show that the Lord of creation was dying on the cross and that the Lord’s crucifixion and resurrection would have an impact on creation. These lessons gleaned from Genesis show us that Adam and Eve’s decision to sin had far-reaching impacts that the couple could never have foreseen in Genesis 3. 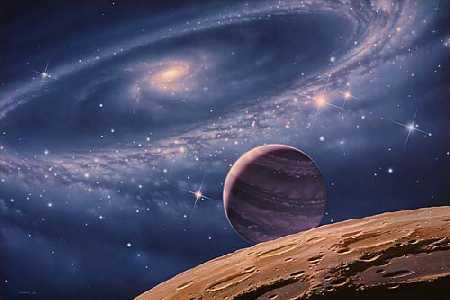 Man’s rule over the earth plunged the earth into the curse when man disobeyed God. I’ve gone through some basics of divine sovereignty and human responsibility as provided in Genesis, but we’re not done with basic building blocks for a sound theodicy just yet. Next on the list is omniscience, and I’ll start my investigation of this component of a sound theodicy in my next post. Stay tuned.